The much-anticipated sequel to Crossroads is nearing completion, so it’s time to start sharing some sneak peeks! The first three drafts are out-of-the-way, and the graphics have been completed. I’m waiting for the last round of notes from my proofreaders before shipping the finished manuscript off to the publisher. While the official release date is still pending, I’m excited to share the synopsis and finished cover art with you, so check it out! Will McGee is back! 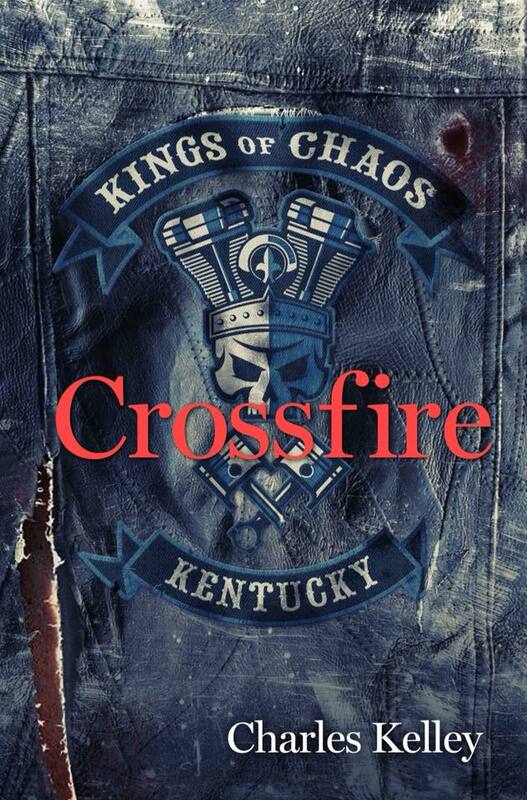 Just when he thought he could take a breath from infiltrating and toppling an outlaw motorcycle club, he realized just how much his tiny hometown of Rough River Falls, Kentucky truly needs him…even if it appears that they don’t want him. The town is imploding as a direct result of his actions against the Kings of Chaos Motorcycle Club, and the impact is starting to rear its ugly head in multiple ways. The lawman’s battles have left him scarred and weary, but he’s never been one to leave things alone. Can he restore order to the chaos he created, or will he get caught in the Crossfire? Grab a helmet, this ride could get a little out of control. Crossroads Deluxe Photo Tour Hardback Edition available now! 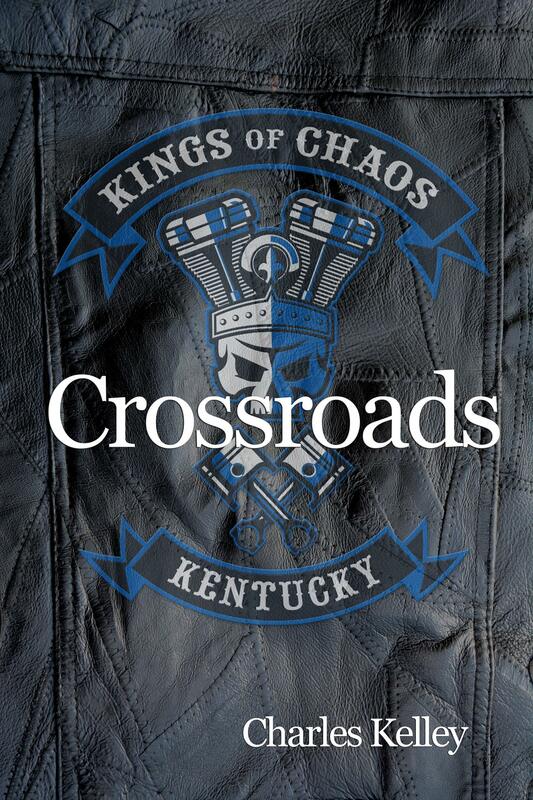 Including all the action-packed fun that you loved from the original release of Crossroads, the Deluxe Photo Tour Hardback Edition (that’s not a mouthful or anything) provides a glimpse into the actual world of Will McGee and the Kings of Chaos Motorcycle Club. While the story is set off the banks of the Rough River in Central Kentucky, the locations behind the story are actually based off of real locations from my childhood. Though Rough River Falls doesn’t technically exist as described, I wanted a setting that was placed in a real geographic location with the freedom of creating the environment to best suit the story. Subconsciously, as the world was created around the Kings of Chaos Motorcycle Club, I realized that the settings that were being described were directly inspired by locations I was familiar with through my adolescence. So check out the Store page and order your copy of the Deluxe Photo Tour Hardback Edition today and get a real feel for Rough River Falls! Now if you’ll excuse me, I have a sequel to get started! Thank you, that is all. First, a little background. In case you’ve missed it, I’ve declared several times that I am starting to write my first book – like here, here, here, and here. (If you were already aware of that, then thanks for checking back with me!) I have no clue what to do, how to do it, or where to even start, so I had some meetings with a couple published authors. I’ve been a little intimidated by the enormity of such a daunting task. So much so, that I still haven’t completely committed myself to it. I insist on saying things like, “I’m THINKING about MAYBE TRYING to write a novel.” I’m basically just running in place, even right now, by simply recapping posts that I’ve already written.